I love the yellow and blue together. They are soo striking. White is my favorite color right now, but I love how you have combined it with yellow and blue highlights 🙂 Super chic! Beautiful outfit, you look absolutely gorgeous, I love the pop of color that give the shoes and the top! And these pictures are amazing, wow! 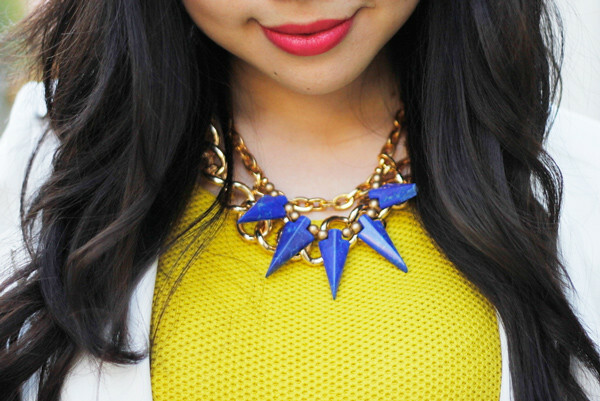 So bright and chic! 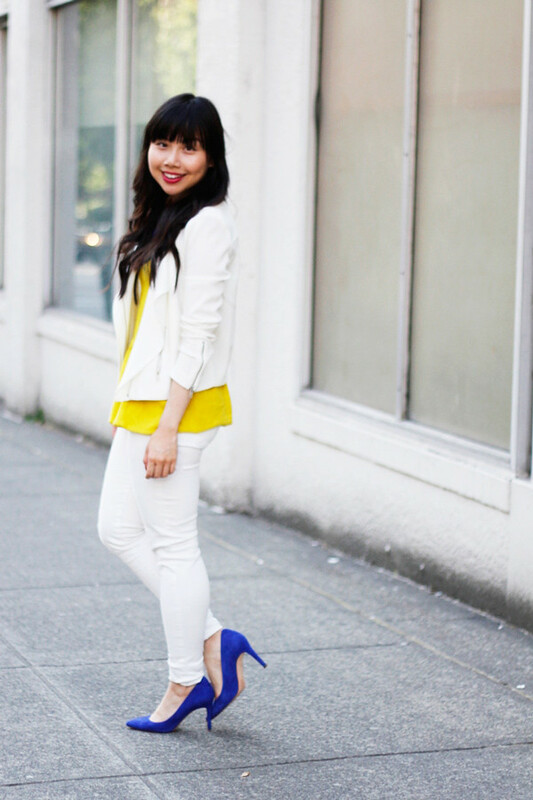 I adore the contrast between crispy white and bright colors, is fun and very sophisticated too! Ohhh, lovely! I’m in love with this yellow top! So fresh! I love this!! Yellow and blue are such great punches of colour against a white canvas! Love it! The contrasting colors work so well! I am IN LOVE with this outfit. This is PERFECT summer outfit for work! It’s fun, colorful,and cool! Thank you for the easy comment post. I HATE word verifications! Great outfit! Love the colors together.